Roller carts for transferring material within a manufacturing facility. 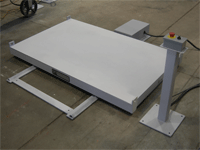 Custom Designed grab for lifting and loading foam blocks. Ability to sense "crushing force" so as not to damage the blocks. 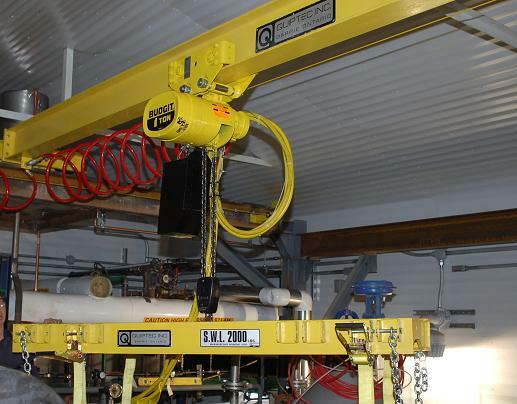 A mold dunk/vacuum pouring robot, with a lifting capacity of 1,000 lbs. 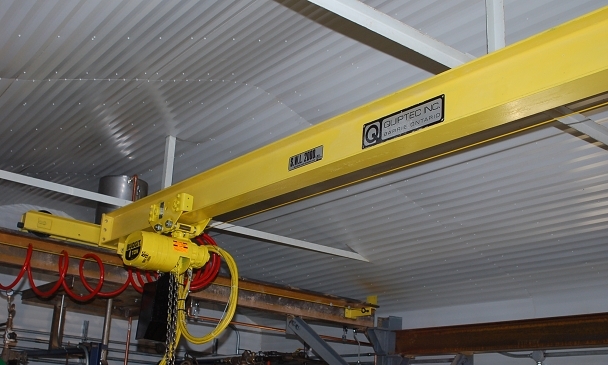 Designed for both manual and automatic operation. 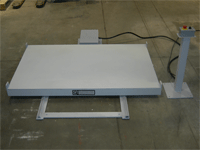 Power shuttle table for moving melting furnaces in and out of operating position.